Learn about OpenBoxes Inventory Management Software. Includes info on OpenBoxes, free trials, pricing, customer reviews, and FAQs. OpenBoxes is an inventory management software that aids in reducing the risk of stock outs, improving stock traceability and offers planning and forecasting tools, among other features. Pros: Great at stock tracking and offers plenty of customization. Cons: Open-source, so requires some technical expertise to fully utilize the platform. Bottomline: OpenBoxes is an effective inventory management software once you know how to make the most of it. What is OpenBoxes' price range? OpenBoxes pricing ranges from $0.00 to $6,000.00 per month. Contact OpenBoxes for a quote on an Enterprise Plan. Is there an OpenBoxes free trial? 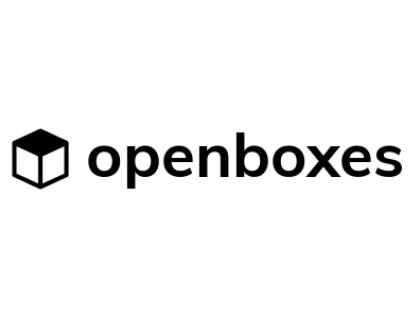 OpenBoxes offers a free version of its software. Where can I find the OpenBoxes login? Sign in directly to your OpenBoxes account here. What are some OpenBoxes alternatives? There's no custom report feature at the moment, but you can access the MySQL instance using a third-party reporting tool to build your own custom reports. In inventory screen there is an option to adjust stock for multiple items but it doesn't work for items which stock qty at that moment is null.It would be great to adjust stock for newly imported products, for example, i have a warehouse with hundreds items, I can easily import them into the system and also bulk edit some positions but now I need to edit the stock position, if I could use "adjust stock" feature (in inventory screen) for every selected item it would save me a lot of time because for the moment i need to go to every separate product and click "record stock" button and then edit stock. If you are dead set on using openboxes, find a good local IT pro that's comfortable with git, MySQL, Linux and tomcat.